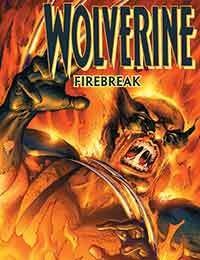 Wolverine: Firebreak Average 0.00/5 - out of 0 total votes. Everyone knows that Wolverine is an expert tracker, but what about when he's been blinded? The fighting Canadian must lead a vacationing family out of the woods, using only his 4 remaining senses and the help of that same family. Things get more complicated, however, with a visit from Advanced Idea Mechanics.